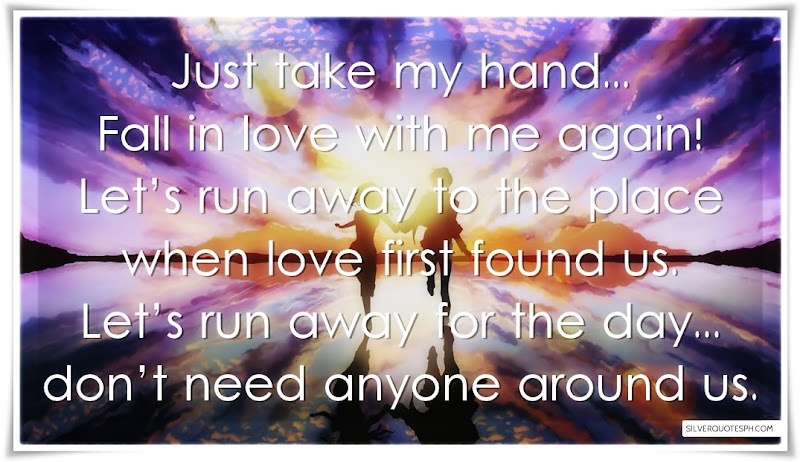 Just take my hand... Fall in love with me again! Let’s run away to the place when love first found us. Let’s run away for the day... don’t need anyone around us.